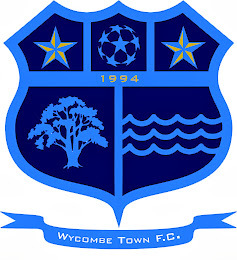 Wycombe Town FC: TOWN INTO THE FINAL! Wycombe Town FC won a hard fought game to make it through to the leagues 'Issac Lord Challenge Cup Final' at Adams Park, home to Wycombe Wanderers, where they will meet Masters FC. Playing on a warm sunny afternoon on a tricky pitch, making the ball hard to control, the sides were evenly matched in the first half with both sides missing goal scoring opportunities and Town even missed a penalty. The second half was a different story and 'Town' dominated large parts of the game and scored a goal early on through Chris Paget who fired home to make the score 1-0, Town kept up the pressure dominating the play, forcing Barn club to defend but missed several goal opportunities making the Barn Club keeper work hard, with 20 minutes to go 'man of the match' Chris Paget scored his second goal of the match to send 'Town' through to a well deserved final.